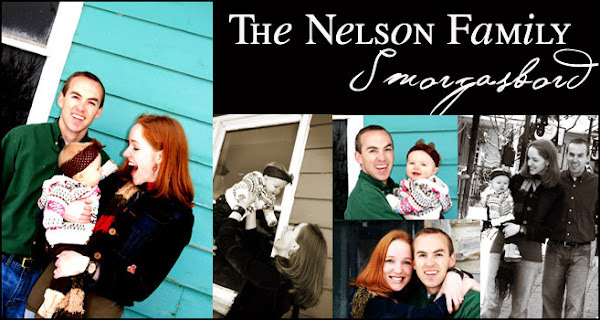 The Nelson Family Smorgasbord: Mmmm, a Date! !...What is a Date??? Do we all remember this line from the Disney Classic, "Enchanted"? Well, I must admit after a year and a half of motherhood (and pure bliss, may I add! ), I find myself asking the same question!! Tonight Jordan's mom offered to take Charly so we could go on a date! Now while Jordan and I do plenty of things together, very few of them consist of just your old fashioned Malt Shop date nights! Usually they are penciled-in outings or activities on the calendar where I am rushing to fulfil my food assignments or make sure my home is viewer-friendly! :-) Tonight was one of those "Sky's the Limit" nights where it was just the two of us and Charly's car tunes which Jordan and I now have completely memorized. "Vroom, Vroom, Driving in the Car, Here we go, Here we go, Here we go, Here we go...." I have completely forgotten what it is like to listen to the radio! 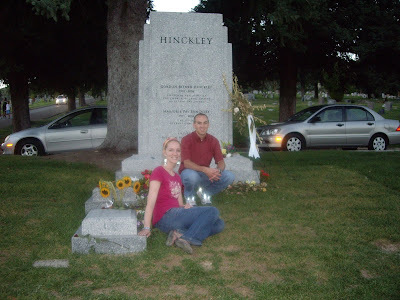 Afterwards we went to another of our favorite places, the Salt Lake City Cemetary, where hundreds of the Prophets, Church Leaders, and incredible historic figures are buried. 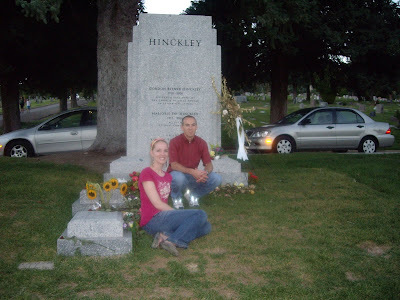 We were fortunate enough to run into a sweet gal, Wendy, who knew absolutely everything about this cemetary and took us on an hour and a half tour where each grave was accompanied by a fascinating history lesson! Among the many we were fortunate enough to see were President Gordon B. Hinckley, President Wilford Woodruff, President George Albert Smith, President Joseph Fielding Smith, President Joseph F. Smith, President Spencer W. Kimball, President Howard W. Hunter, President David O. McKay, Elder Neal A. Maxwell, Porter Rockwell, Orson Pratt, W.W. Phelps and many, many more! As you walk through this beautiful place, there is a Spirit that settles upon you that is almost tangible as the testimonies of these stalwart leaders seem to rest upon the stones which bear their names. Oh, what a wonderful date we had! Charly had an absolutely wonderful time with her Grandma and Grandpa Nelson. Tonight I feel rejuvenated and uplifted as I am reminded of the great importance of "Date Night". I suppose sometimes we forget and just need that little "refresher's course"! oh yay! It sounds like you had tons of fun, even though the conversation was probably mostly about Charly...he he he, that's what often happens to me...I am glad you guys got your date night!